Now I know what you’re thinking, of all places why am I in Minneapolis? My colleagues and I had to travel to Minneapolis for work for a couple of days and since we had to eat, we thought we would ask some of our local colleagues their suggestions for some good grub. 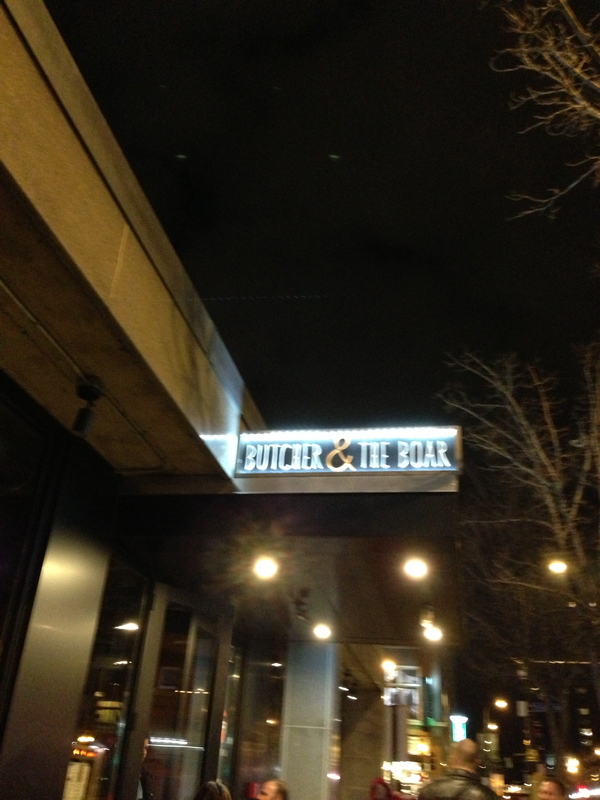 A fellow foodie as well, my Minneapolis colleague R suggested a fairly new restaurant called the Butcher and the Boar. He mentioned the chef was recently named a James Beard award nominee and that he had a great dining experience when he recently went. The only reservation we could get was for 8:45pm and this was a Monday night, so we took it. It was only 7 or so blocks away from our hotel so we walked and its a good thing we did since the portions served at this place were huge! Just like the name suggests, this place is known for its meat and chacuterie (I love homemade meats)! Their beer selection was also astounding with so many beers available on tap – its the most I’ve seen anywhere (and most of them were micro-breweries). Only one comment about the beer – they need a better Canadian beer to represent Canada, they had Molson Canadian on tap! Other than that, the food just blew my mind away! We ordered two sampling platters; a chacuterie board with five different meats or terrines, and a sausage platter with different beef/pork sausages with one being a pork and shrimp sausage! 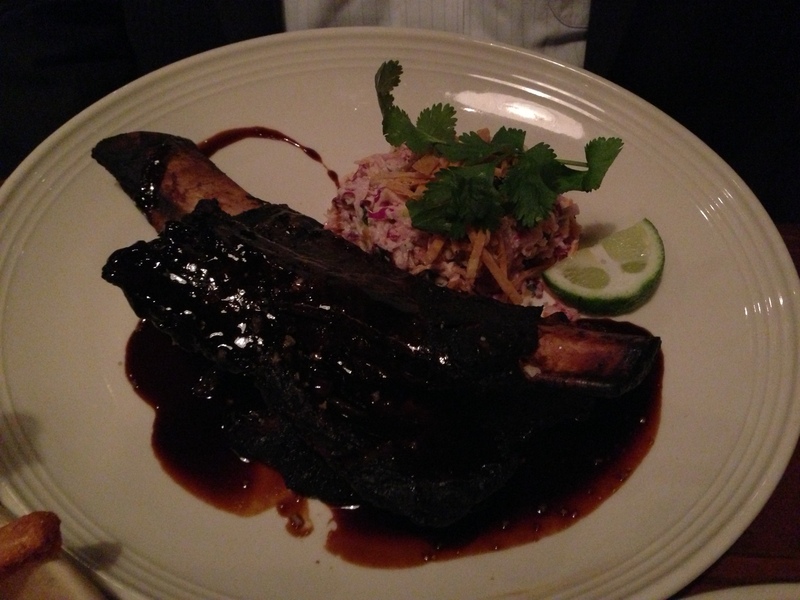 We then ordered a beef rib that looked like it came right from an episode of Fred Flintstone’s – that’s how big it was, falling right off the bone and covered in sticky dark molasses barbeque sauce. To top it all off, the most unique item on the menu has to be their sides. The twice fried sweet potato fries, baked in a skillet corn bread and best of all – the stuffed jalapenos! 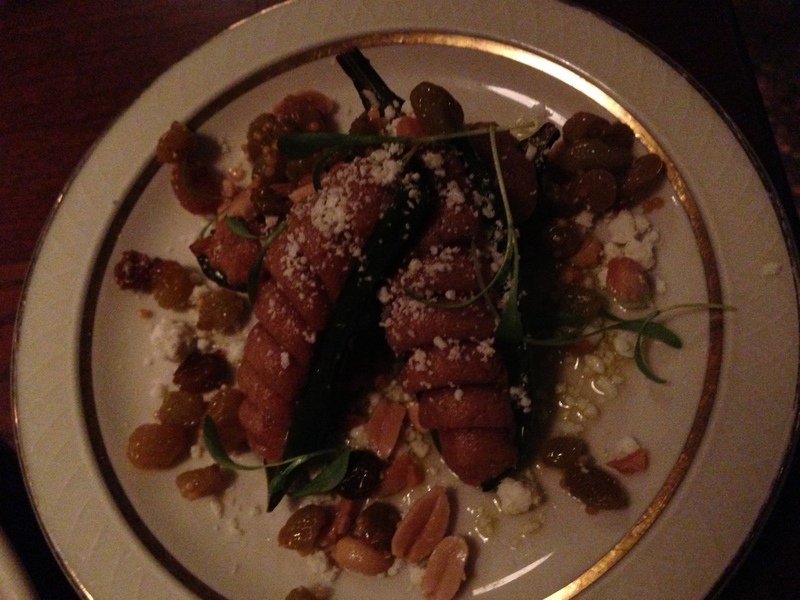 These just weren’t any stuffed jalapenos – they were stuffed with a combination of peanut butter and cream cheese. Gross, we thought so too but once you take a bite, they are to die for – think thai peanut sauce! It was delicious! If you’re ever in the area, this place is a must try! 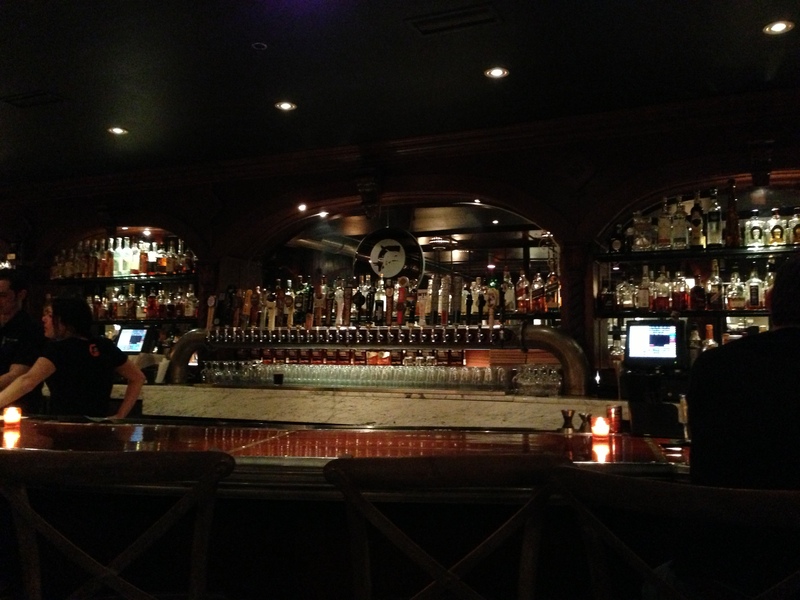 The most beers I have seen on tap anywhere! 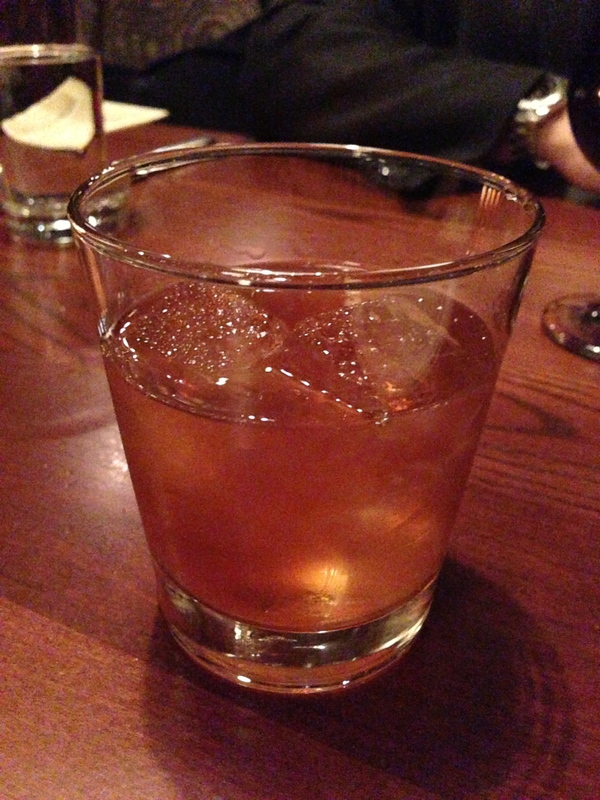 My libation of choice that night – Old Fashioned. Too strong for me! 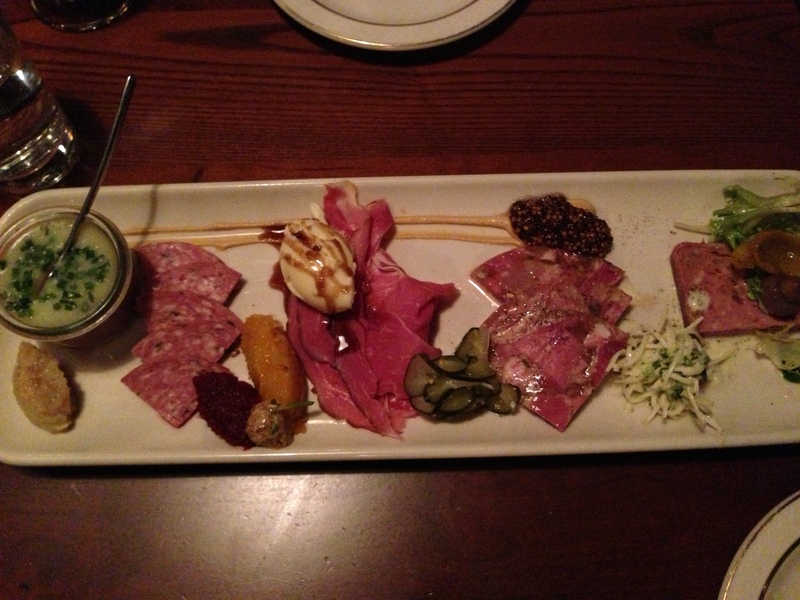 Sampling of house cured meats and pates! 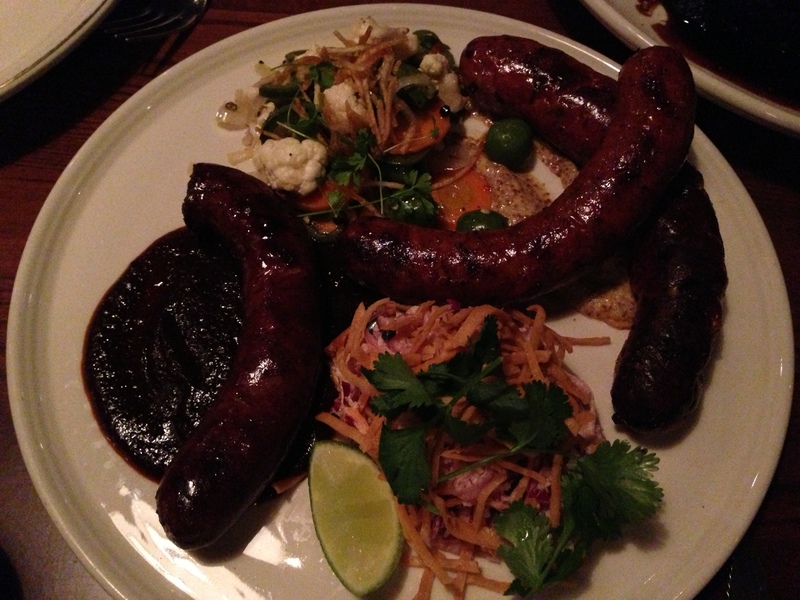 Sampling of house made sausages – including beef, pork and shrimp! 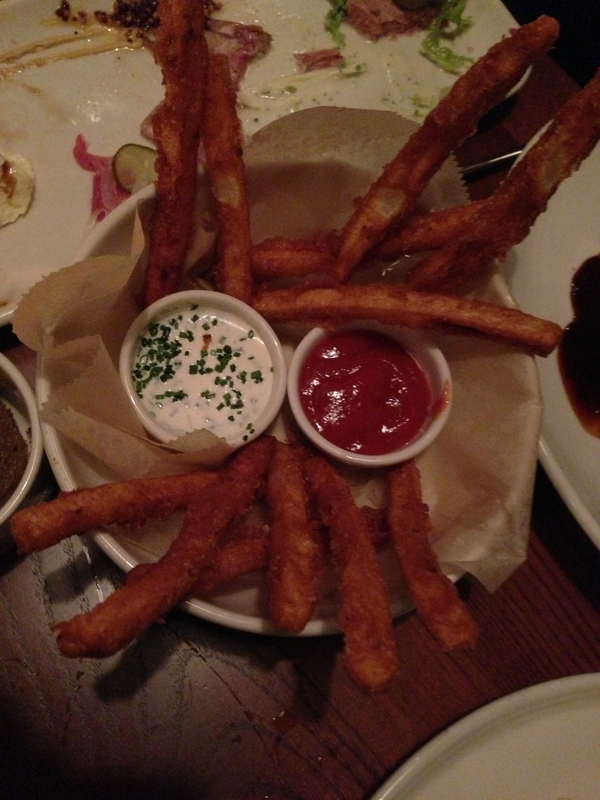 Side dish: Double fried sweet potato fries. Smoked beef long rib! – Fall off the bone delicious! Stuffed Jalapenos! – stuffed with a combination of peanut butter and cream cheese. 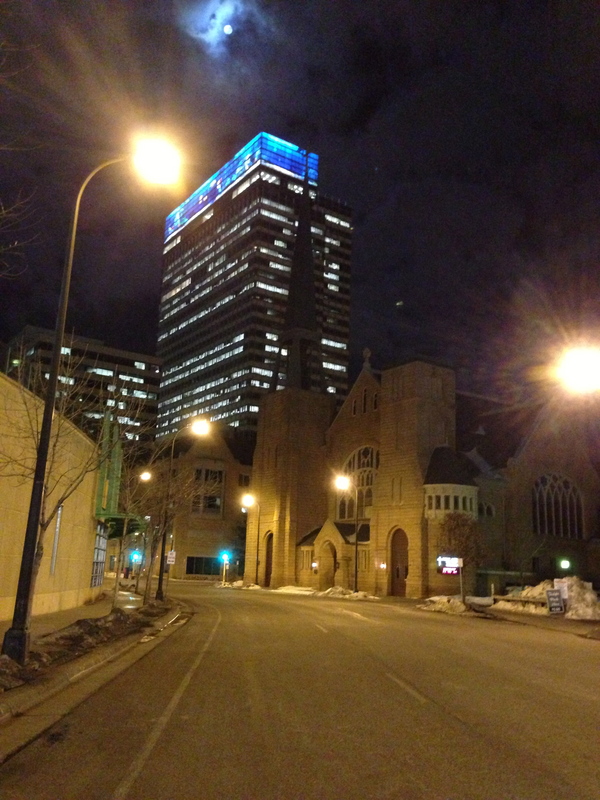 Minneapolis – I thought this was kind of neat, on our walk there we saw this building with a digital aquarium on the penthouse!